Hi everybody. Here in the UK we’ve just had a long weekend, so I’ve had a bit of a slow start to the week (in other words, I’ve only just sobered up). But don’t worry, I’ll be good to go for tonight’s Hubie Sounds show on NSB Radio! Since the last few shows have been on more of an old skool, nostalgic tip, this time around I thought it was high time I presented a selection of more contemporary tunes that I’m digging at the moment, including a fine selection of fresh new electro, breaks, house and techno. There will be a few older tunes thrown in too of course, it just wouldn’t be a proper Hubie Sounds without the old skool bangers now would it! 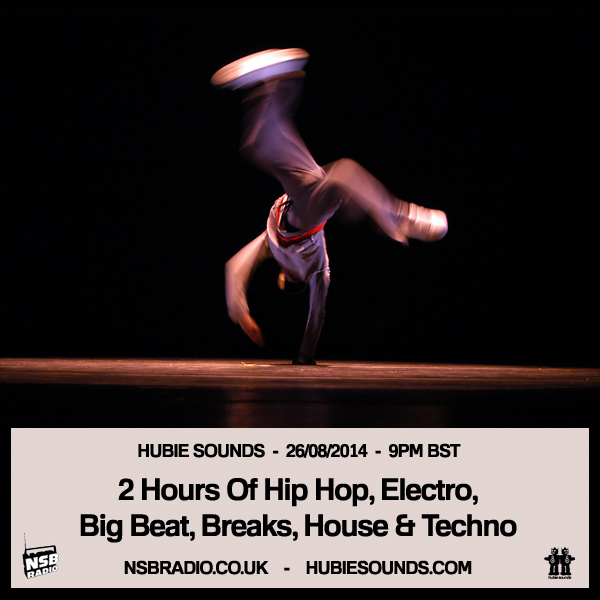 Hubie Sounds 086 – Tuesday 26th August @ 9pm BST – live and direct on NSB Radio! Make sure you come and say hello in the NSB Radio Chatroom too!